New Bike Storage Floor Rack Parking Stand Holder Wheel Cycling Steel Home Garage N Special Intro Pricing! Hang Your Bike By The Seat! We designed our seat-in-loop free standing bike rack to be space saving, to keep your bike looking as good as it rides (not a single portion touches the wheels or frame), and to last you a life time of use. This is the only freestanding bike rack on the market to accomplish these 3 things. Not only does our seat-in-loop bike rack keep your bike neatly stored, it is also a great way to display your bike in your home or office. Show off your bike and your passion for riding knowing your bike is ready to be used at a moment's notice. Have more than one bike? Not a problem. These racks are designed to stack into each other for multiple bike storage. Made of steel tubing, the high strength 2 piece design will comfortably support even the heaviest full suspension bikes. Store your high quality bike confidently on a high quality rack. Dimensions: 50" x 14" x 25"
Note that unless otherwise noted, all household or commercial appliances are for 120v electrical systems only with standard north-american two or three prong sockets and should not be purchased for overseas use. For automotive or ATV products, all products are for 12-14v electrical systems unless otherwise noted. If you have any questions about this product by Polarbear's Cycling, contact us by completing and submitting the form below. If you are looking for a specif part number, please include it with your message. 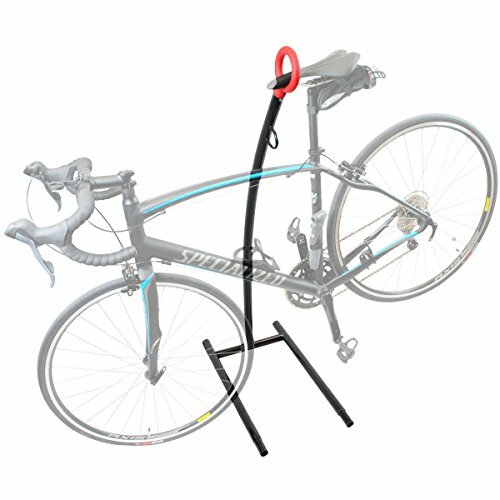 New Single Bike Bicycle Wall Mount Folding Rack Seat Hanger Storage Stand Hook !